Where You in a Bicycle Crash in a Florida Parking Lot? Driving, walking and riding your bicycle in a parking lot is riskier than one might think. 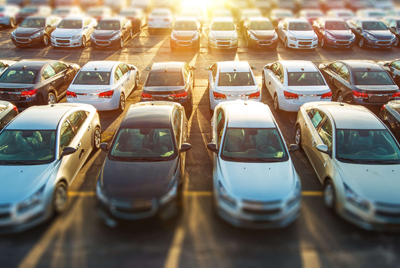 According to the National Safety Council, more than 50,000 crashes occur in parking lots and parking garages annually, resulting in 60,000 injuries and more than 500 deaths. An NSC poll found that two out of three drivers admitted to using their cell phone while driving through a parking lot. Driving distracted. All too often, drivers are on their cellphones or parents are turned around and tending to their children. Distracted driving could be a number of things but the bottom line is drivers need to get situated before they start driving. When it’s time to drive they need to be focused on that only. Not looking for cyclists. Everyone who drives a car in a parking lot is also a pedestrian at some point, however not all of us have ridden a bicycle through a parking lot. Even though they should be, drivers just aren’t looking for cyclists. Drivers need to take their time when navigating through a parking lot and should always be on the lookout for pedestrians and cyclists, even where they may not expect them. Not obeying the rules. The rules of driving seem to be tossed out the window once drivers enter a parking lot. So often they don’t obey stop signs, crosswalks, and no-turn signs. Even though they have reduced their speed they are still driving over the speed limit and don’t yield to pedestrians who are crossing. Also, many drivers are guilty of not using their turn signals. Rushed or anxious driving. Drivers are either trying to find a parking space or the exit. Simply put drivers are on a short-term mission and are focused on these two things which causes them to lose awareness of their immediate surroundings. Always make eye contact with the drivers. Slow down. The slower you go the more time you will have to react. Use a headlight at all times; even during the day. Always wear high visibility clothing. Pay attention and expect the unexpected. Follow the rules and comply with all posted signs. If there is a bike lane, use it. Be sure to signal your intentions. This also makes you more visible to drivers. If the unexpected happens to you or someone you love is injured in a parking lot bike crash, please call our office for a free consultation. Jim Dodson is a cyclist, so he understands the issues Florida cyclists face when they ride. You can be sure he will put his years of experience to work for you and get the settlement you deserve. Contact us online or give us a call at 727-446-0840.